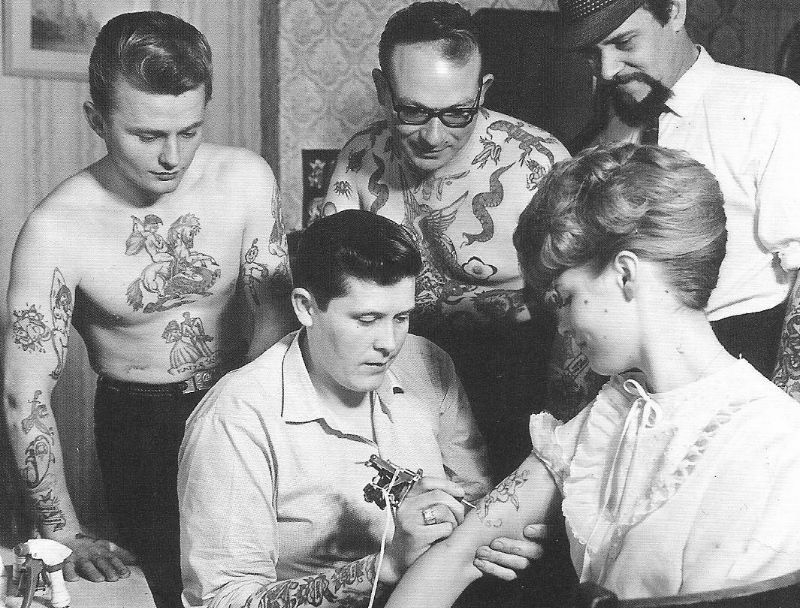 The Skuse family have a rich heritage in the art of tattooing — dating back well over 80 years. 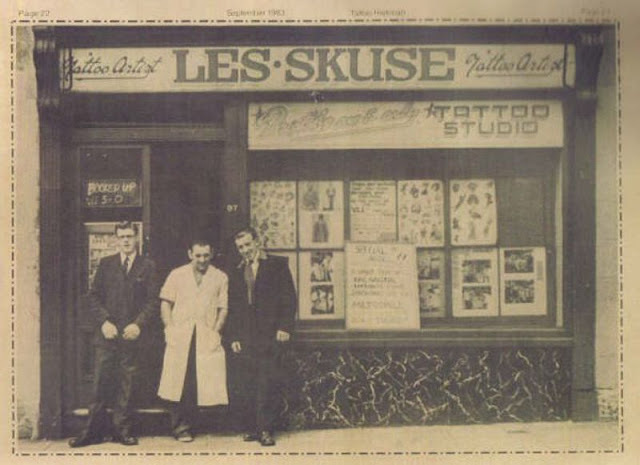 It all started with founder Les Skuse, who started the Bristol business back in 1928. Through his years of inking that brought him recognition in Bristol and abroad, Les Skusee was ultimately awarded the title of Champion Tattoo Artist of all England for his advancements in tattoo artistry and techniques. 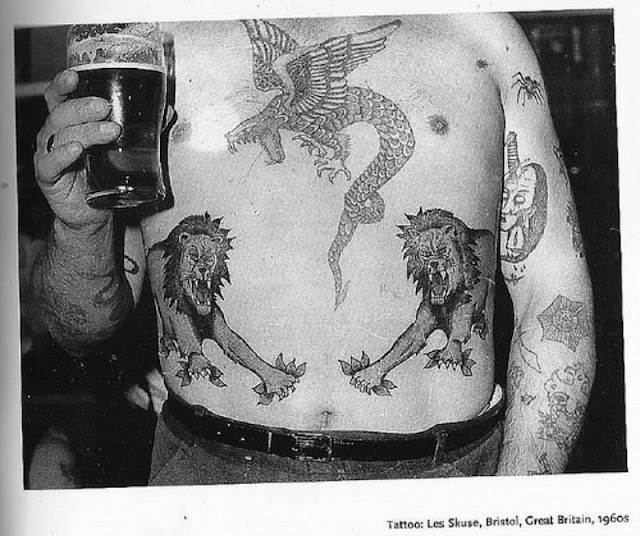 Les Skuse was born in Bristol, England in 1912. 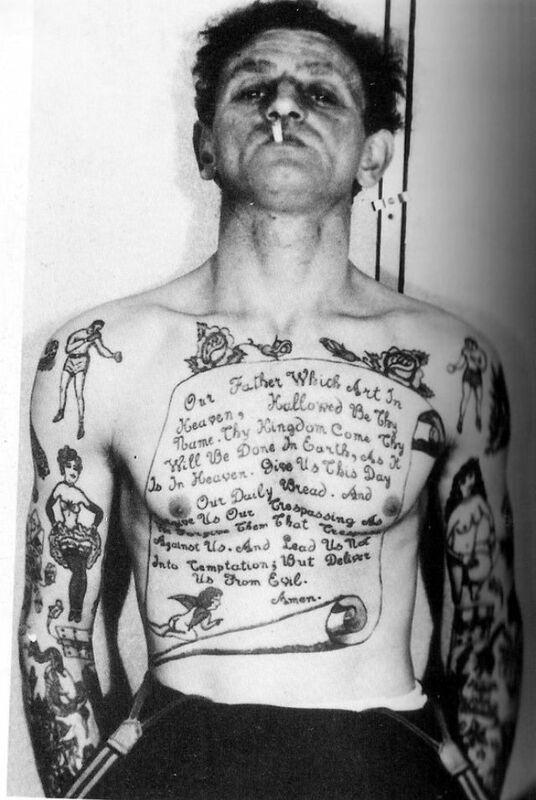 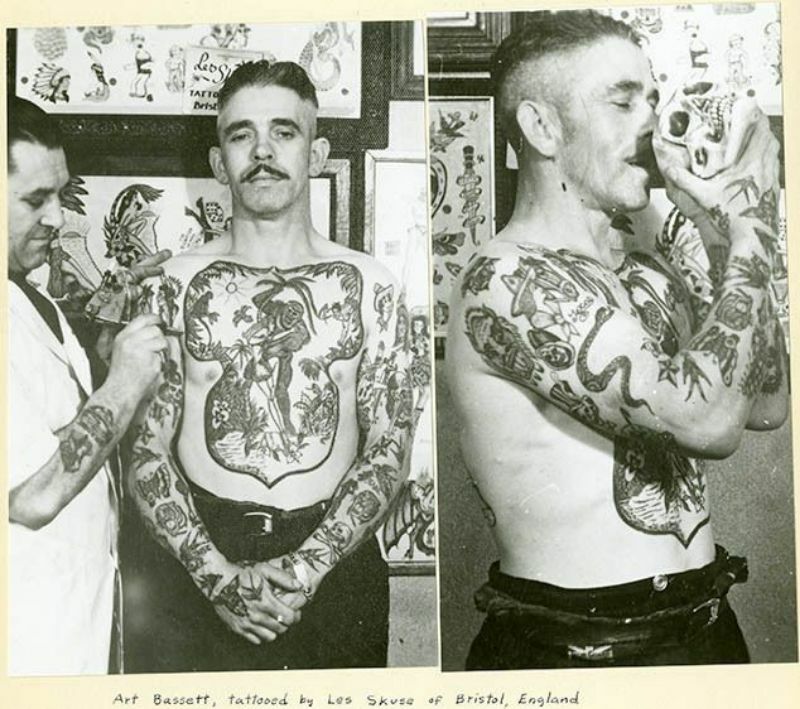 He learned to tattoo in 1928 from Joseph Hartley, who was probably Bristol’s one and only tattoo artist before Skuse. 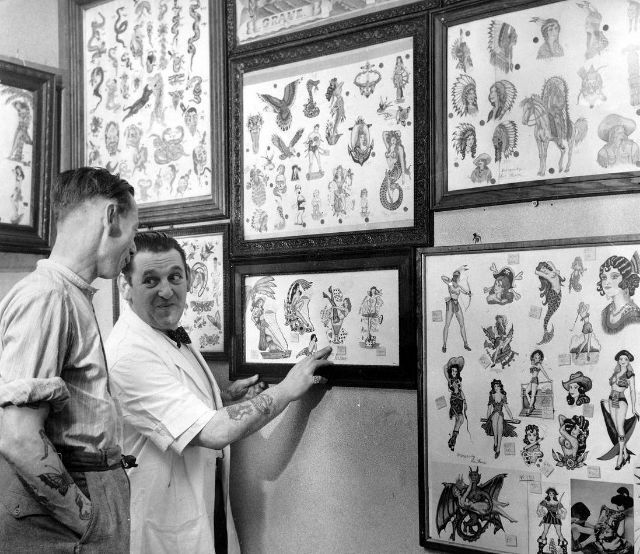 Hartley was a long time tattooist/supplier in this area and was located at 2 Blackfields, near Stokes Croft, Bristol, England. 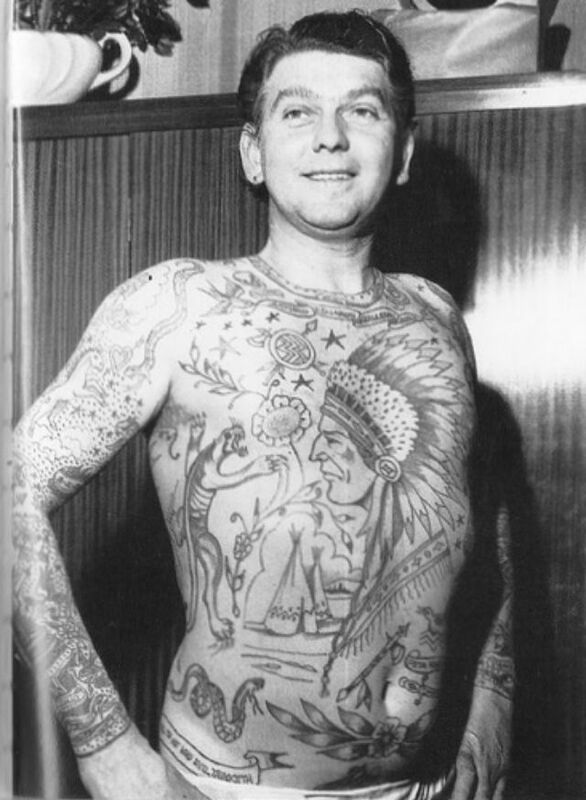 Skuse is said to have stayed with Hartley until World War II, when he enlisted in the Royal Artillery. 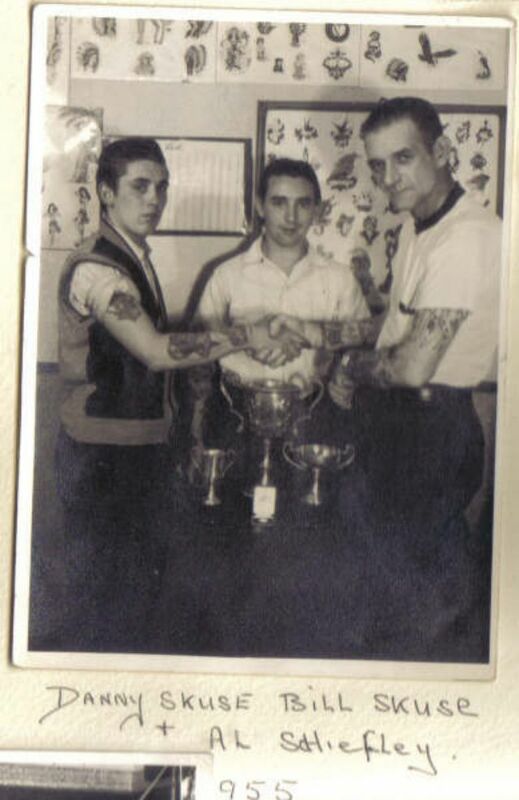 After five years of tattooing the troops, he got out, settled back into Bristol and opened his first shop. Les Skuse was located in at least three different storefronts in Bristol; 57 and 97 Lower Ashley Road, and 71 Mina Road. 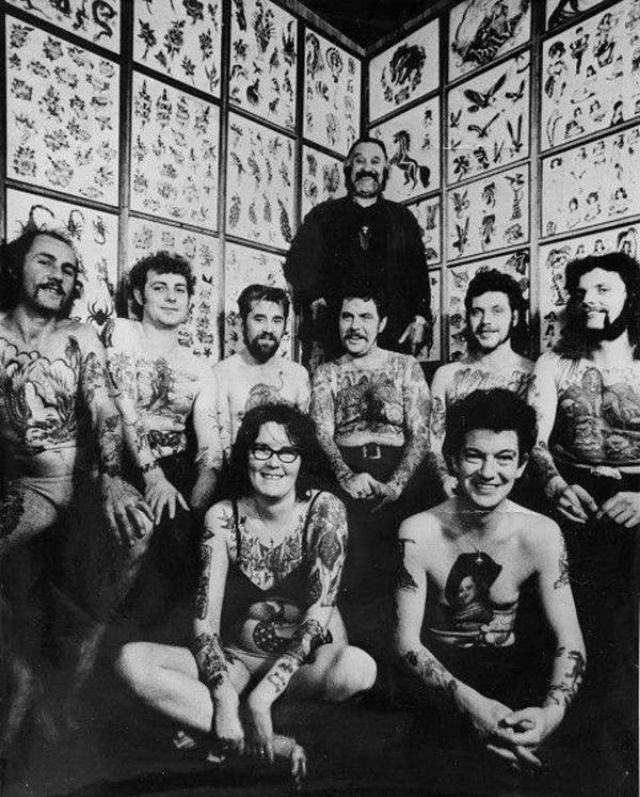 Undoubtedly two of the major accomplishments that etched Les Skuse’s name into tattoo history were the formation of the British Guild of Tattooing and the Bristol Tattoo Club. 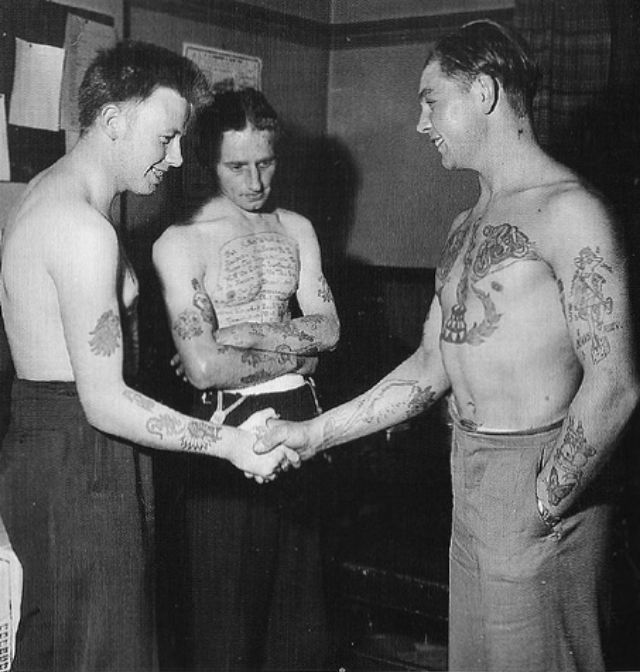 These organizations were given worldwide publicity by both the British and overseas presses, and kept Skuse in the limelight during the 1950s. 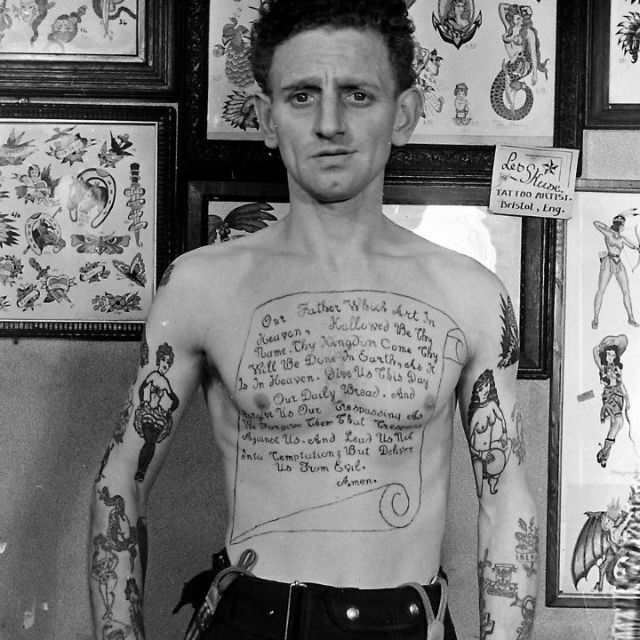 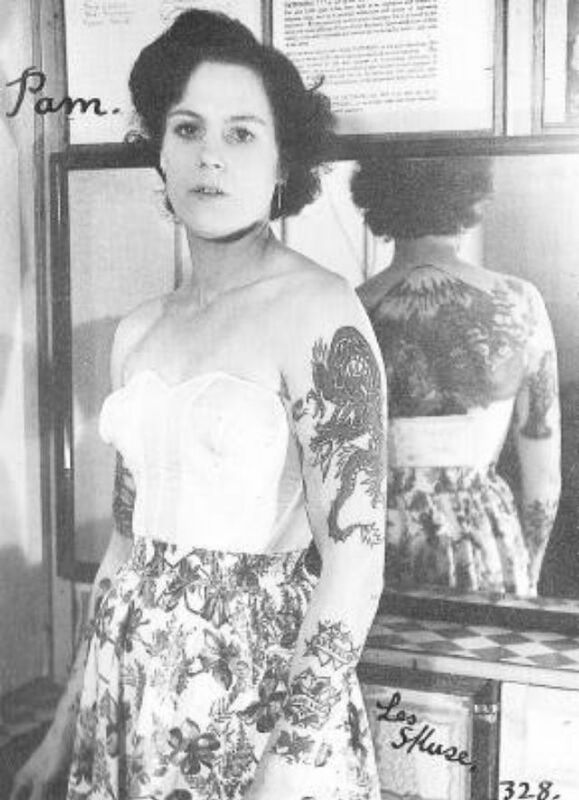 Riding on this wave of popularity, Skuse was voted the Champion Tattoo Artist of All England in 1955. 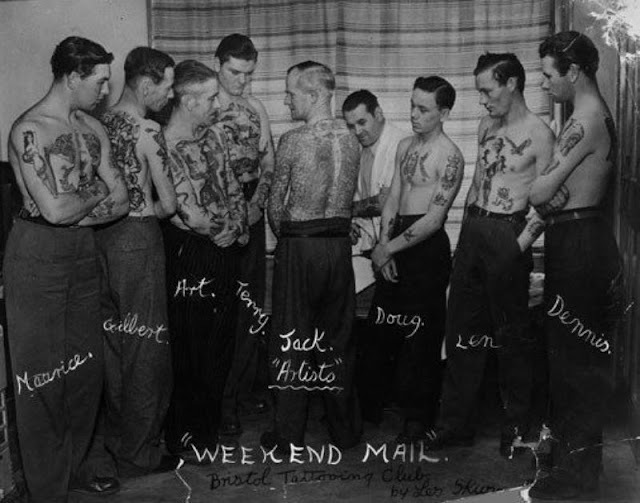 The next few years brought an international exchange of tattoo ideas, with Skuse visiting the U.S., and Milton Zeis and Al Schiefley visiting England. 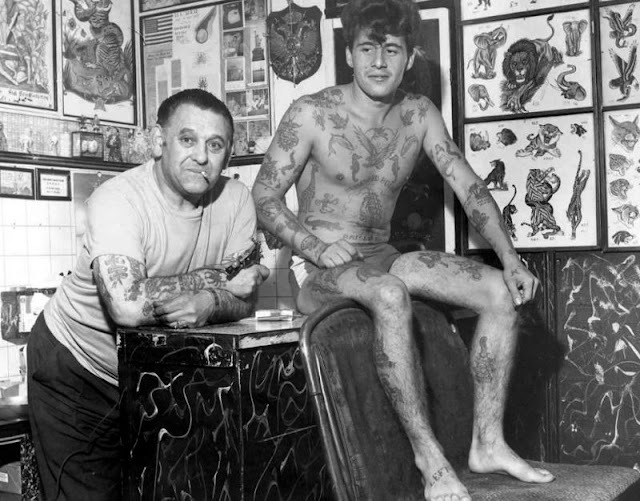 When Les Skuse died in 1973, Les Skuse Junior (Danny) took over his shop on Mina Road. 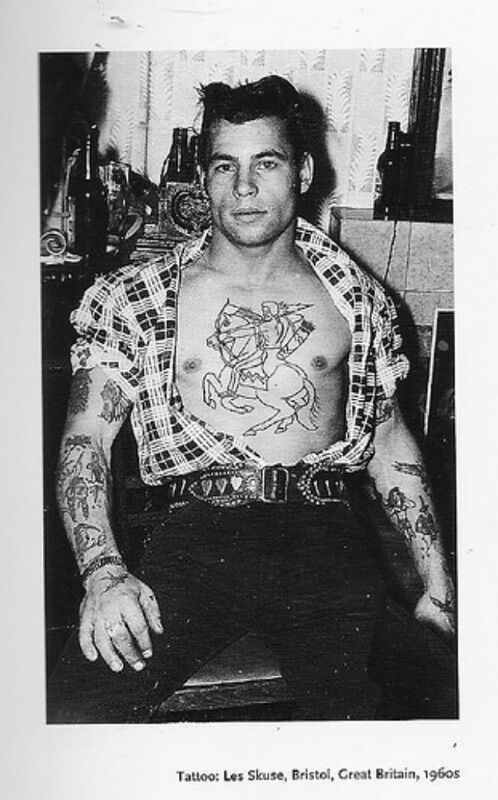 Danny worked up to 1990 when he retired from the day to day running of the studio. 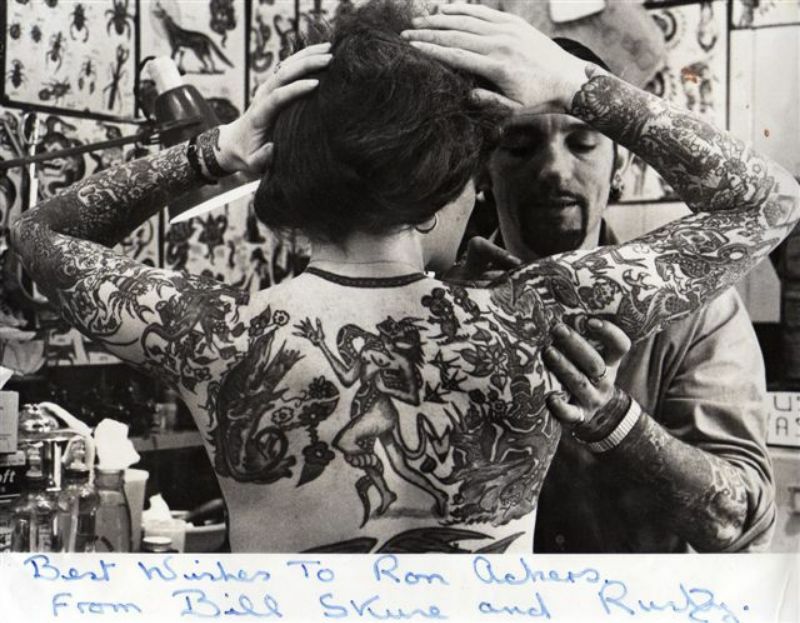 He did however decide to work along side his lifelong friend Ron Ackers of Portsmouth and traveled around the world working at conventions, which he is still doing today. 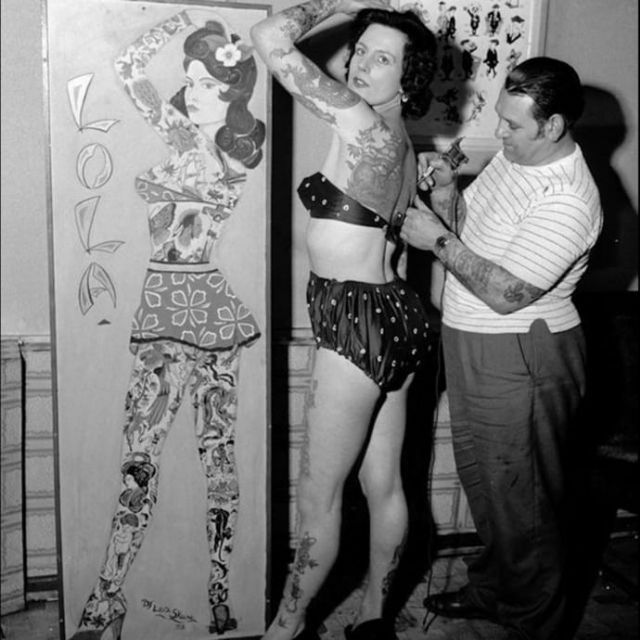 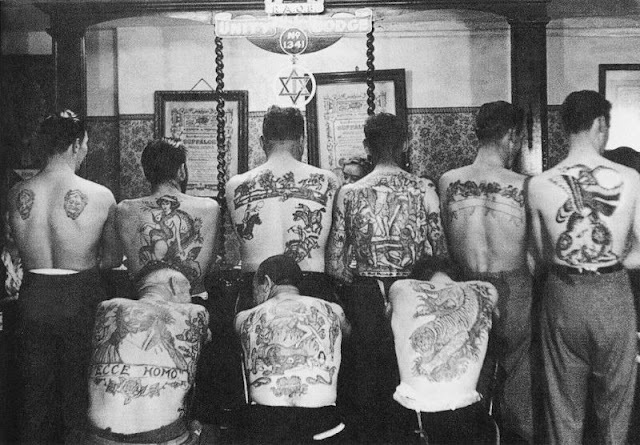 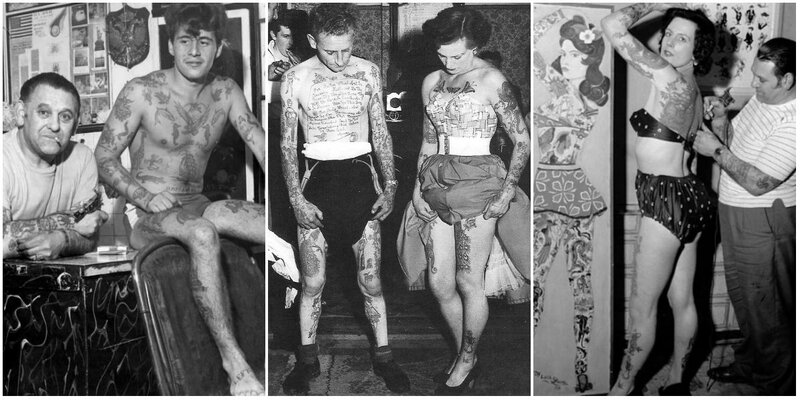 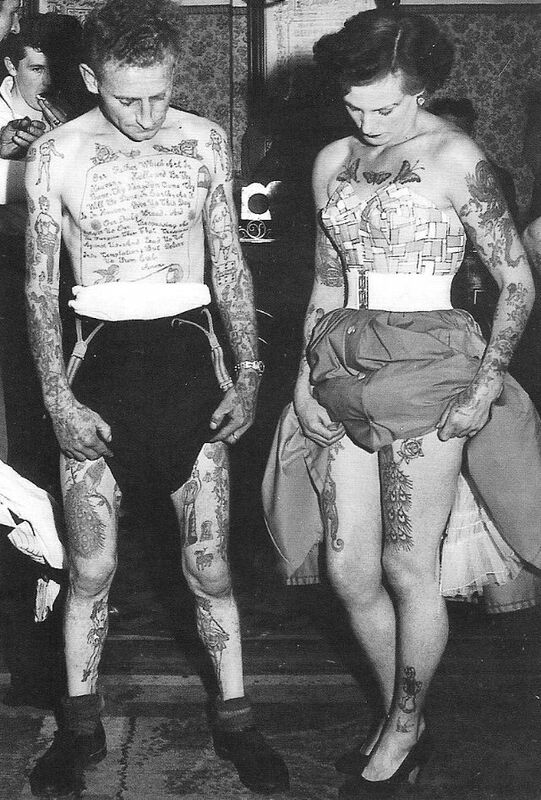 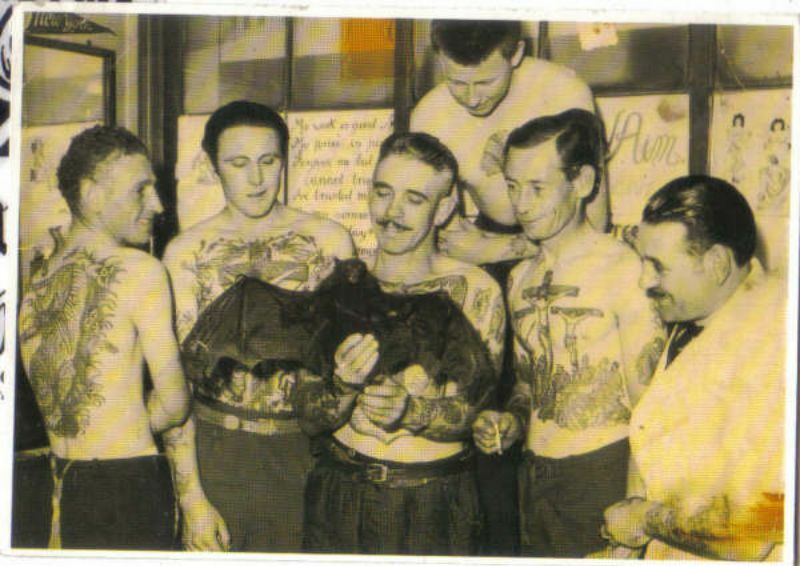 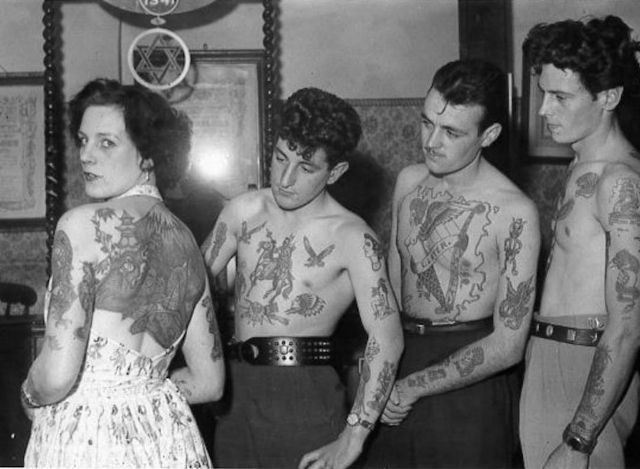 This 1950s pic of Les Skuse and members of the Bristol Tattoo Club shows them holding their club’s calling card. 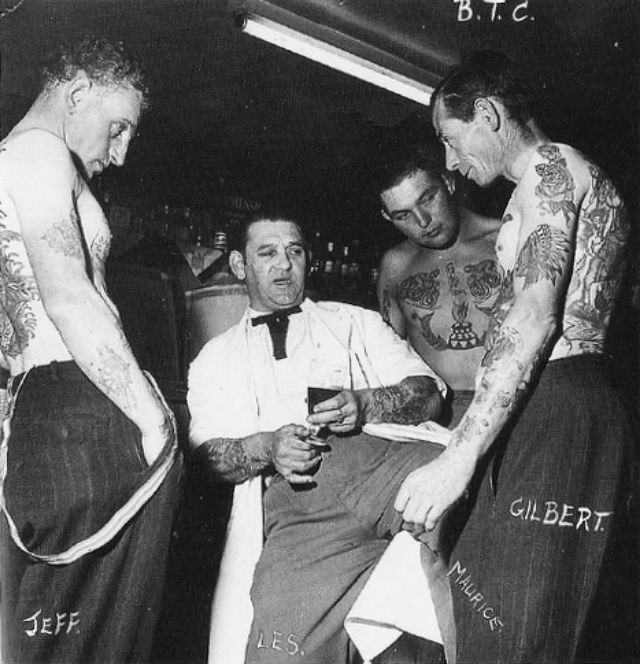 For recognition purposes, every member is secretly inked somewhere on their body with the club insignia — a black bat.